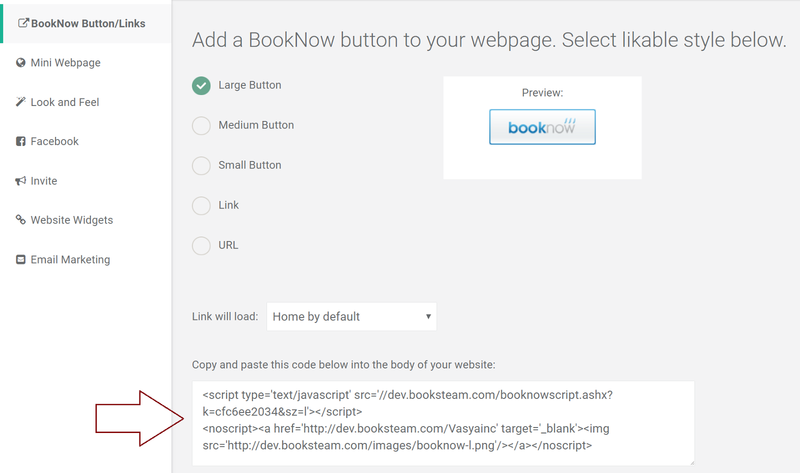 How to add BookSteam's BookNow scheduling button to your Google Sites page. 1. Sign in to your BookSteam account. 3. Log in to your Google Sites account. Select your page you'd like to add the BookNow button to. At the top of the page click "Edit page" icon. 4. At the top of the page, click "Edit HTML" source button, paste your BookSteam BookNow linking code from step 2 and click "Update". If you get message "HTML content will be modified", click "OK". 5. Click the blue "Save" button at the top right of the screen. Now, your Google Sites page has been updated with the BookSteam scheduling BookNow button. And you're done! Your clients can now book directly from your Google Sites webpage.